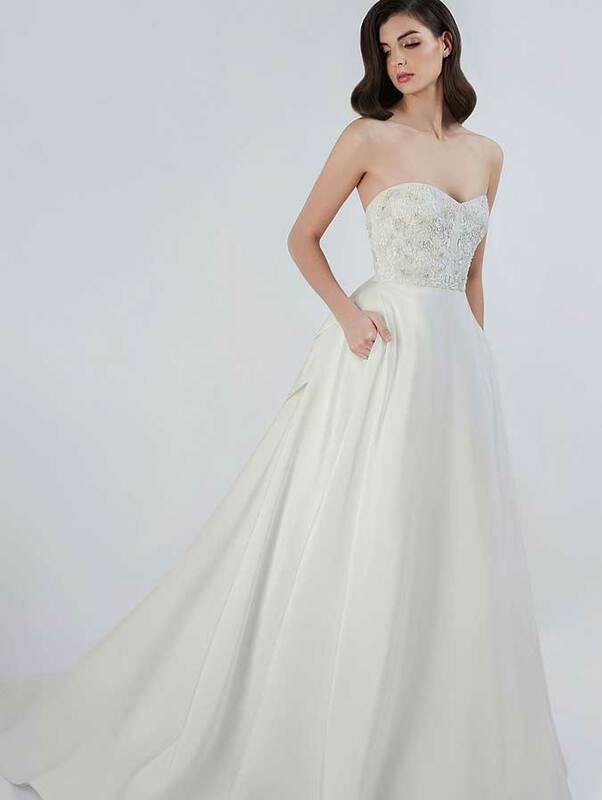 We can hardly wait for this trunk show and these gorgeous gowns to arrive! The Ti Adora bridal collection is the epitome’ of ethereal romanticism and appeals to brides who are seeking a dress with feminine details and luxe embroidery. Ti Adora features a soft and dreamy color palette of ivory, cashmere, and champagne. The fit and and silhouettes can make any bride feel like a boho goddess. 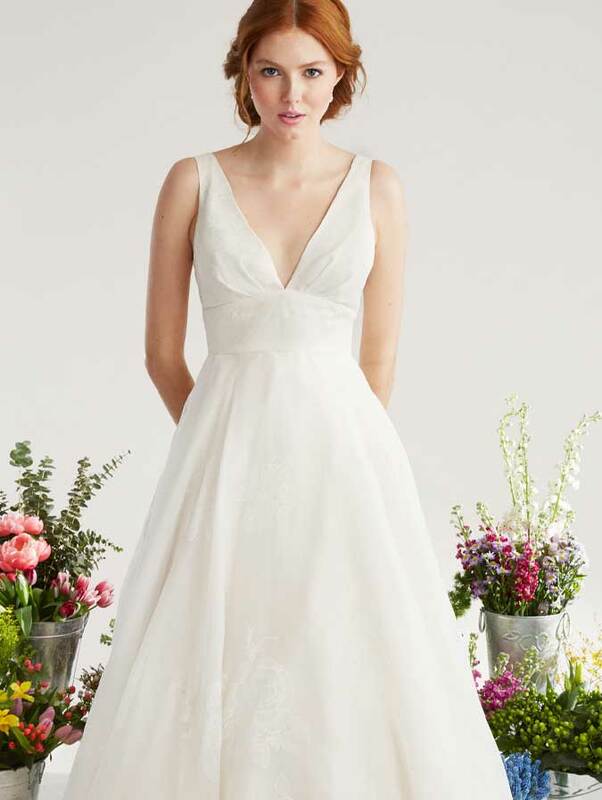 We really can see these gowns complimenting any lovely venue, from a wildflower field to a chic industrial loft. 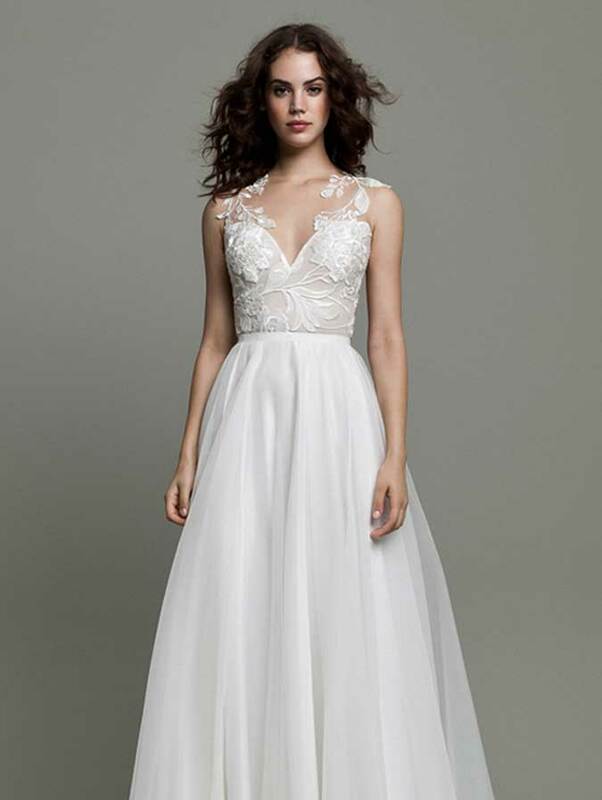 These stunning designs have a great price-point for brides on a budget or even a reception dress! Pictured here are some of our favorite styles, wouldn’t you love to try them on? Psst… Brides who make an appointment for our Trunk Shows get the exclusive Bella Bleu treatment, including champagne and treats, and special incentives! Click here to make an appointment or call us at 847-386-7406.